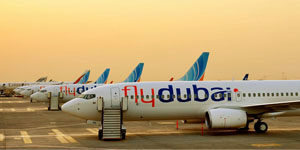 Flydubai is the Government-owned low-cost airline in Dubai International Airport. We carry 8 million passengers a year between 81 airports across the UK and Europe, with over 210 routes across 15 countries. Since our first beginnings in 2008, we’ve always worked hard to put our customers at the heart of all we do. We have been constantly rewarding even though the challenges in the industry and the economy in general. At flydubai we think distinctively to different carriers. That is the way we turned into the second biggest transporter flying out of Dubai International Airport. We urge our staff to think distinctively as well. One of our main assets is our admirable staff, who always go above and beyond to make our flights a great experience. All things considered, without the enthusiasm, commitment and expertise of our staff, we’d have never got our first air ship off the ground. Take a moment to join our Talent Community. We’re growing quickly and with flydubai job alerts you’ll always know if we have the perfect opportunity for you. At flydubai we value our staff, in fact, we consider them to be family. As part of our family, Our staff know better than anyone what it’s like to be a part of the team. It takes dedication and hard work, but it’s very rewarding and offers opportunities for growth and development. The Employee Referral Programme has been set up to encourage our employees to recommend jobs at flydubai to their friends, family and network.